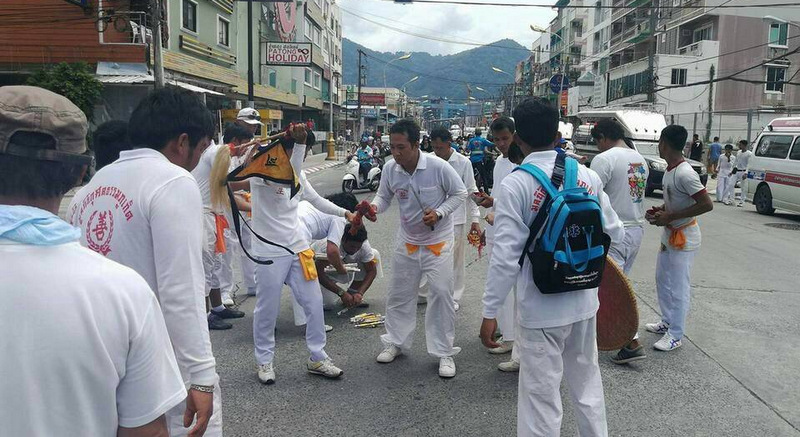 PHUKET: Scores of rescue workers from the Phuket chapter of the Kusoldharm Foundation held a mass procession over Patong Hill and through the streets of Patong yesterday (Aug 21) in the hopes that an appeal to the Chinese gods will help make the hill safer. 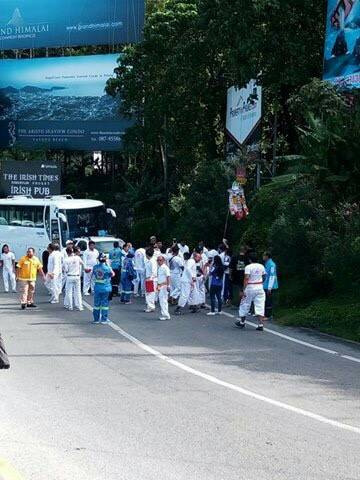 The procession started at the “Khwan Yang Intersection” on Phra Baramee Rd, about halfway over the hill, then descended the steep slope into Patong that has caused dozens of deadly accidents, mostly tour buses and other heavy vehicles suffering from brake failure. The procession invited He Yeyun, the Chinese god of knowledge, astrology and conqueror, to help bring peace to the notorious hill. 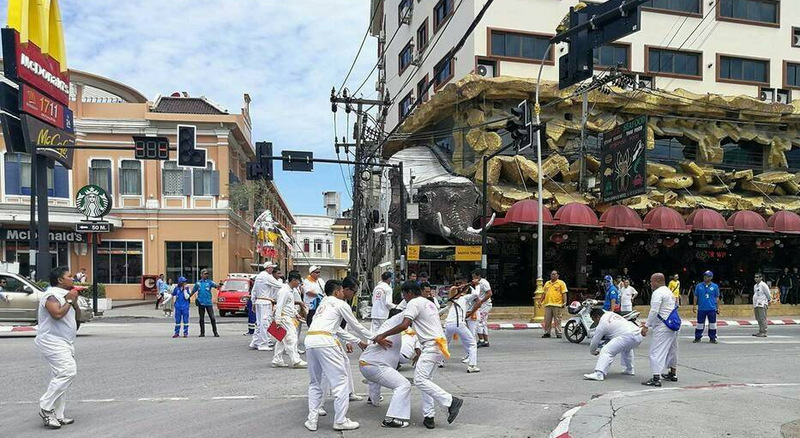 After arriving in front of Suwankhiriwong Temple (Wat Patong), where two tour bus accidents last month killed three people and injured dozens of others, the procession wound its way along Phra Baramee Rd to Rat-U-Thit 200 Pi Rd then ventured forth to Thaweewong Rd (the Patong beach road) and concluded at the Kalim Intersection with its dolphin statue roundabout at the northern end of the beach. Along the route, spiritual mediums held aloft triangular wood frames to collect a total 311 of spirits – 167 male spirits, 124 female spirits and 20 spirits of children. 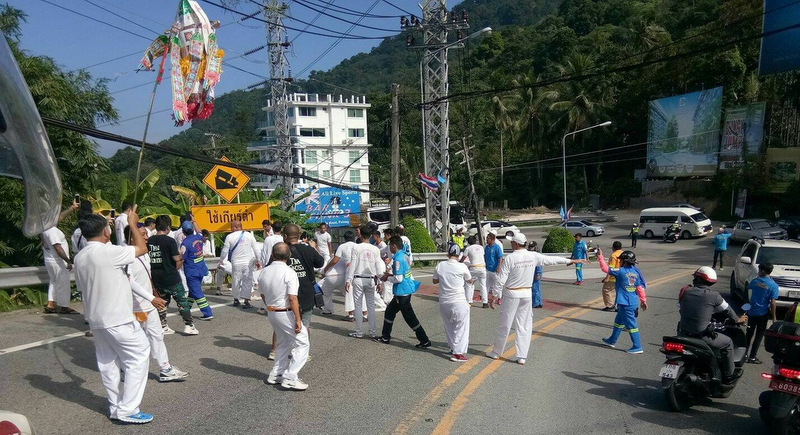 “We expect the (number and severity of the) accidents will surely decrease,” one rescue worker told The Phuket News. 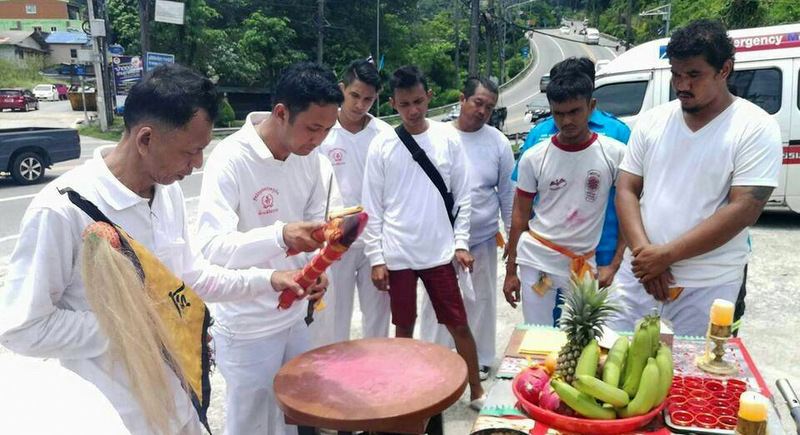 This same belief system has it a tunnel will pierce through the"Dragon's heart" of Phuket. With over-development, traffic, trash and tourist deaths, the unnecessary, outrageously expensive Dragon heart piercing tunnel just might be the death knell. Was this a spiritual medium happening about 50 years ago? A article about how people felt and believed at that time? 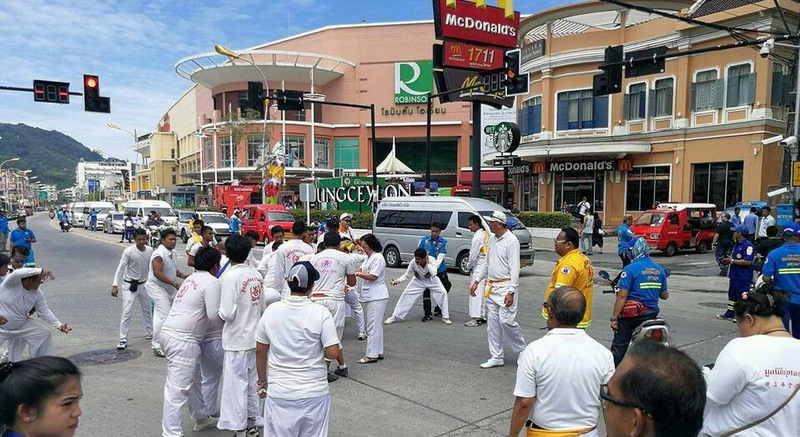 By the way, Patong Hill is safe. I not believe that local authorities let busses with foreign tourists drive Patong Hill if the 'Hill' is not safe. What is not safe are the drivers, and sometimes perhaps the busses. They should ask that poor lady with the house at the bottom of the hill to put up a big shrine to the Chinese gods in her front yard. We'll see just how effective they are when the next bus ploughs into her house and demolishes the shrine. Yes, that will reduce the accidents for sure. Don't worry about driver training, vehicle safety checks etc. This will fix the issues. They should be praying to the Chinese god of vehicle safety checks and driver training.